After 150 days spent this season with at least a share of the first place spot in the National League central division, the Milwaukee Brewers are experiencing their first big struggle of the year. In fact, having lost a National League best nine straight games — the most for them since 2010 — the Brewers not only find themselves fighting for the division title, but more importantly they’re struggling to keep their playoff hopes alive. 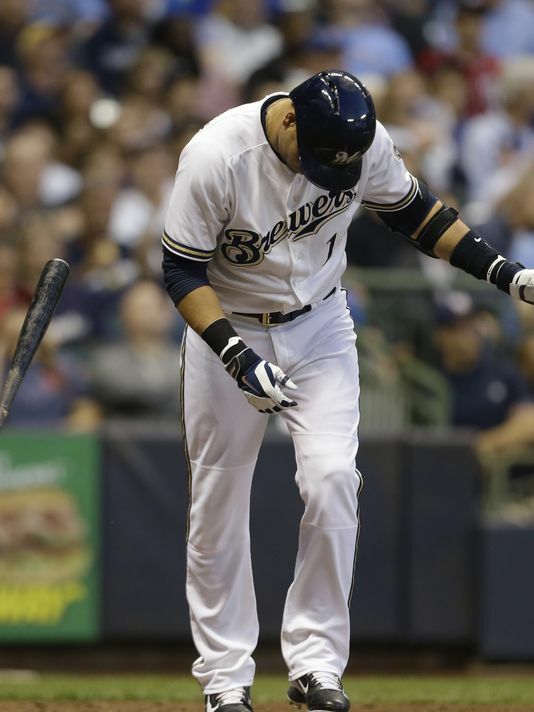 With Thursday night’s 3-2 loss to the Cardinals — a team that is a must beat for the Brewers — Milwaukee is currently tied with the Braves for the second Wild Card spot, but they could quickly lose it to the Braves if they don’t begin to play any better than they have lately. The Brewers kicked off 2014 with one of the best starts in franchise history, posting a five game lead in the division after the first month of the season. Things looked to be headed in the right direction in Milwaukee, however, although the Brewers were able to play decent baseball through the All-Star break as well as much of August, the Brewers finally collapsed to the surging Cardinals on September 1st, when the Cards took a one game lead in the division and haven’t looked back since. With a four game lead over the now second place Brewers, the Cardinals have gone from 1 and 1/2 games back of first to four games up on the Brewers in the span of a week, having won six games in a row. To put into perspective how quickly things have gone south for the Brewers, back on August 19th they held their best chance of making the playoffs according to MLB.com of a great 94 percent chance, with a 63 percent chance of holding on to win the division. Now, after struggling for so long, the Brewers hold around a 50 percent chance of making it to the playoffs, with a mere 16 percent chance of coming back to take the division title. A near 50 percent drop in their chances of winning the division in the matter of a few weeks is pretty remarkable. 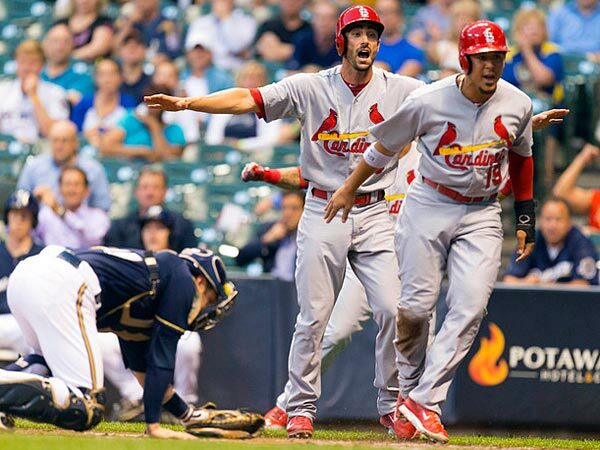 With the start of the 2014 postseason quickly approaching on September 30th, this four game series against the Cardinals is absolutely crucial for the Brewers. With three games remaining in the series, the Brewers could either finish things out against the Cardinals seven games back of first place — taking away most of the remaining hope of them making the playoffs — or they could find themselves back in contention just a single game out of first. It all depends on how well they can play. Being one of the worst teams in the National League since the All-Star break, sitting in 11th place for runs scored, and near the middle of the pack in runs allowed by their pitchers, the Brewers are facing a major battle if they want to keep their postseason dreams alive. What they need is a player or two to step up and begin to transform this team back into the group it was before the All-Star break. The only problem being that Ryan Braun, who has been out for a bit of time but is respected to return soon, and Carlos Gomez, who is out with an injury, haven’t been doing too well as of late even when they were in the lineup. In addition, Jonathan Lucroy, who at one point in time was on people’s radar for a possible National League MVP, has been performing poorly over the past couple of weeks. Without those player carrying the team, it can be very difficult to get an offense going, not to mention a sinking pitching staff. But, as history has shown, nothing is impossible. With 22 games left in the Brewers’ regular season, they still have time to turn things around. However, they have to start the turnaround now. After they finish out this series against their division rival Cardinals, the Brewers go on to play the Marlins and Reds, both of which can always make things difficult to pick up a win. Following that, the Brewers head on the road to face the Cardinals, in what could once again be pivotal games, as well as the Pirates and Reds, before returning home to finish out the year with a three-game series against the Cubs. Depending on how the Brewers fare between now and their final home series, the fans in Milwaukee could either be cheering on a playoff bound team in the final days of September, or they could be watching on television from afar, with aspirations of postseason glory in 2015. 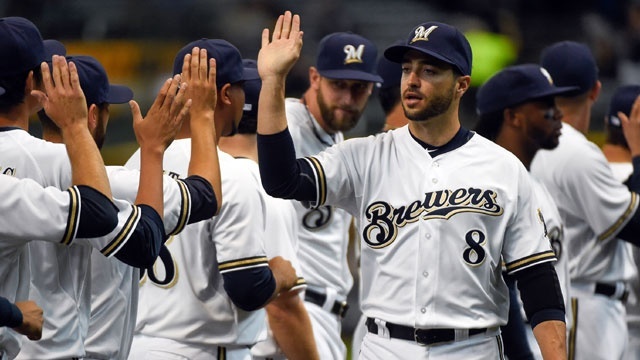 It was a rather intriguing story line when the Brewers were leading the National League central division after the first full month of the season. It was somewhat of an impressive feat when they were still leading the division after the first two months had passed. But now that we’re just a couple of weeks away from the All-Star break and the Brewers are still on top, it’s beginning to become one of the most discussed topics in all of baseball. Predicted by many to do poorly this season (I had them finishing fourth), with the seemingly average team the Brewers have and the difficult division in which they play, the fact that the Brewers currently sit 5.5 games ahead of the second place Cardinals is incredible — especially after the Cardinals won the division fairly easily last year, with the Brewers ending up 23 games back. Having achieved the most wins in all of baseball (only the Athletics have a better winning percentage), and holding the largest division lead of any other team over the second place opponent, the Brewers making the playoffs is no longer a long shot as it appeared to be at the beginning of the year. It has now become a really good possibility. Off to the best start halfway through the season (81 games) in their franchise’s history, the Brewers not only have momentum on their side, they also have statistics. Since the Wild Card was introduced in 1995, 69 percent of teams (82 out of 118) in first place at the halfway point have made the playoffs, with 61 percent (72 out of 118) holding on to win their division. One of the biggest reasons for the surprising performance by the Brewers as a whole has been their consistent game play by their individual players. Jonathan Lucroy, one of the game’s most underrated catchers, has done a fantastic job both defensively behind the plate as well as offensively. And despite a slightly down season for Ryan Braun (he’s still making a good contribution), Carlos Gomez, Aramis Ramirez, and Scooter Gennett are all doing their share, with Khris Davis and Mark Reynolds providing a good deal of power, regardless of their low batting averages. 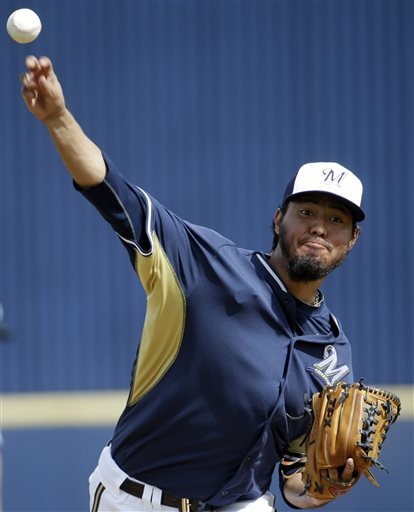 On the pitching side of things, Kyle Lohse has really stepped up his game this year, doing a great job of giving the Brewers opportunities to win ballgames, and with the exception of a couple of rough starts, Yovani Gallardo has been a valuable asset as well. With a closer like Francisco Rodriguez, who currently leads baseball in saves, coming on in the ninth inning to shut down games, the Brewers have a really solid team no matter how you look at it. With just 14 games remaining until the All-Star break, the Brewers find themselves on the verge of making some more history by surpassing the old franchise record of 54 wins at the break. That would certainly be an amazing feat. But I’m sure the majority of the Brewers would tell you, having made the World Series just once back in 1982 (they lost), their main focus is on making it deep into October. Spring Training is well underway, and many players are beginning to find their grooves that they hope will carry over into the coming regular season. With just over three weeks until Opening Day, on March 31st, there’s not too much time remaining for players who struggled last season to get things back on track for this year. With that said, some players certainly need to have a good year more than others. After recording twelve straight seasons of 30 or more home runs (all but one of which included 100+ RBI’s) Albert Pujols faced the first bit of adversity of his career in 2013. Dealing with a nagging foot injury, Pujols only managed to post 17 home runs and 64 RBI’s, along with a .258 batting average — absolutely terrible by his standards — in 99 games played. With the down year coming as a shock to many people, especially after the acquisition of him led many to predict playoff pushes for the Angels, there will be many eyes on Pujols from his very first at-bat of the season to see if he can bounce back. I personally feel that if Pujols is healthy, the numbers will be there, and he will be a top candidate for American League comeback player of the year, but I guess we’ll have to wait and see. 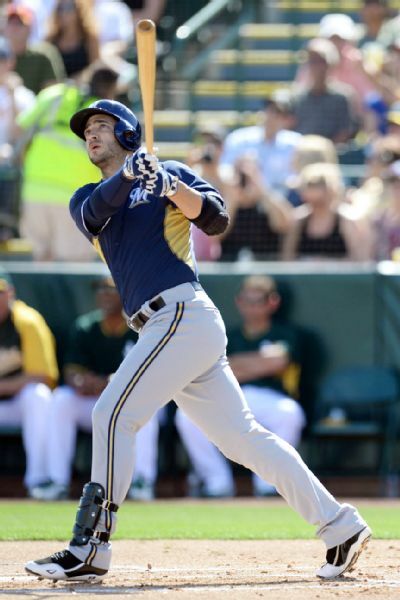 In January of 2013, a list was made public by the biogenesis clinic in Miami, Florida, connecting numerous players to performance enhancing drugs, including Ryan Braun. After being connected to PED’s back in 2011, the list raised many red flags, but Braun denied any drug use, yet again. But finally, after a 65-game suspension by Major League Baseball, Braun came clean and admitted to having used PED’s, upsetting many people around the league. Therefore, unlike anyone else on my list, Braun (who had a good season, batting .298 with 9 homers and 38 RBI’s in 61 games) needs to have a good 2014 more for his personal image rather than his talent level image. Everyone knows he’s a great player, but it will take some time for fans to get over Braun’s consistent denial of PED use — and a great season would certainly help with that. Battling injuries over the course of the past two seasons, Ryan Howard needs to have a bounce back year for him to once again be considered the major power threat that he once was. Playing in only 80 games in 2013, Howard batted a mere .266 with 11 home runs and 43 RBI’s. Considering the fact that Howard hit 33 home runs just two years prior, making it the sixth 30+ home run season of his career, the Phillies’ former star first baseman really needs to show signs of his former self this season. If Howard can perform anywhere near his previous level by staying healthy and putting many a ball into the outfield seats, not only could he very well win the 2014 National League comeback player of the year award, but the Phillies could have a real shot at having a memorable year. Announcing that 2014 would be his final season playing Major League Baseball last month, Derek Jeter needs to have a good final season to top off an already incredible career. In 2013, Jeter struggled with injury after injury, managing to play in only 17 games, and posting a .190 batting average, to go along with a single homer and 7 runs batted in. After accumulating over 3,300 hits in the big leagues over the course of his career, Jeter doesn’t need to have a good final season to be remembered as one of the best players of all-time — he’s already on that list for many people — but rather to finish out his career in Jeter fashion, going out on top of his game. I truly hope he can have a great 2014 season, and I feel he will do just that. When David Price won the 2012 American League Cy Young award, recording 20 wins and posting a 2.56 ERA, many (myself included) felt he had a good chance at doing the same again last season. But instead, Price was faced with a midseason injury that caused his numbers to take a tumble. Posting a win-loss record of 10-8 with a 3.33 ERA — not too terrible, but somewhat disappointing for him — Price needs to bounce back in 2014 for both his sake and the sake of the Rays. 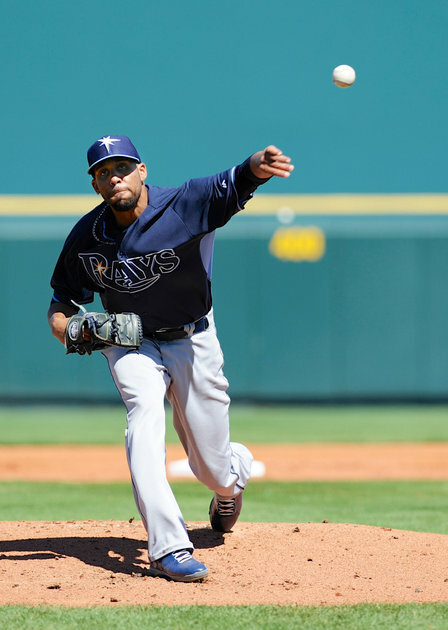 Price truly can be the key for the Rays, who always seem to be on the brink of playoff baseball every season. With an improved American League East division for the coming year, Price’s season could be the difference maker for if the Rays are able to make the postseason or not. Arguably the biggest disappointment of the 2013 season, batting .184 with just 9 home runs and 26 RBI’s after a 2012 season of 28 homers and 78 runs driven in, B.J. Upton has to have a good season this year for him not to be considered a trade bust by the Braves. The Braves managed to win their division last season by a rather large margin without much production from Upton, and if they can get Upton back to his former self, the Braves could have an even better year. It will be interesting to see how B.J. 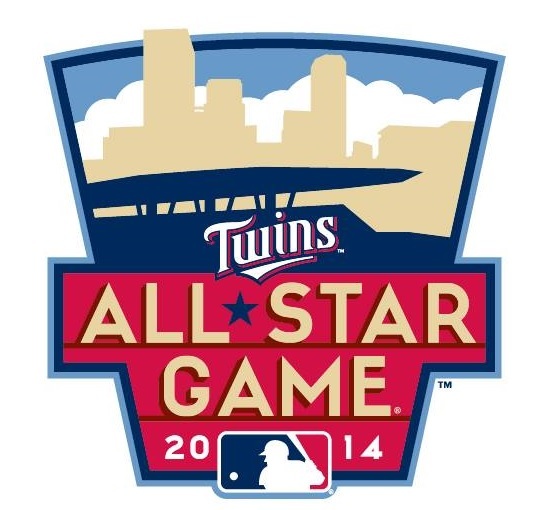 Upton does in the coming year with so much negative criticism surrounding him from the 2013 season. If he can have another good season, the down year he experience will be a forgotten aspect of the past. There are some players that are tagged with a major amount of hype from their first appearance in the big leagues, and Stephen Strasburg is one of them. While he hasn’t disappointed for the most part, going 8-9 with a 3.00 ERA last season, Strasburg also hasn’t managed to blow everyone away and completely dominate like many believe he can. It’s been reported that Strasburg has added a new pitch to his arsenal and is throwing better than ever, and that could mean good things for both him and the Nationals. If Strasburg can find a way to tally even ten more wins than he did this past year, the Nat’s could find themselves in the running for the National League East division title, assuming everything else goes right for the rest of the team. Having the potential to be an All-Star third baseman season after season, Mike Moustakas has yet to post an exceptional season at the major league level. Batting only .233, with 12 homers and 42 RBI’s last season, Moustakas needs to have a good season this year for him to be seen as the above average player he can be moving forward. The Royals still have several holes in their lineup, but Moustakas performing well each year would go a long way in helping them move back into contention. 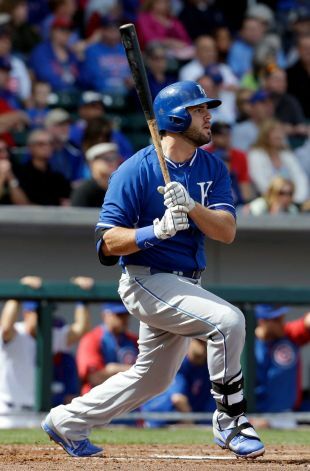 He’s still fairly young, at just 25 years old, and therefore has time left to live out his former hype, but Moustakas could use a strong statistical season to prove to many that he’s one of the top third baseman in the game of baseball today. Although he’s still not fully healthy, Matt Kemp is already on the radar of many people who think he will have a good 2014 season. The only question mark being his health, playing in only 73 games last year. If healthy, as with many players on this list, the numbers will be there, as Kemp is one of the premier talents in the game today, possessing 40 home run, 40 stolen base ability (coming one home run shy of doing just that in 2011, when he placed second in MVP voting). Although there is great depth in the Dodgers’ current outfield, which includes players such as Carl Crawford, Andre Ethier and Yasiel Puig, if Kemp can show signs that he’s healthy, he will certainly get plenty of playing time in the coming season. He’s too good of a player to count out. Once a Cy Young caliber pitcher, having won back-to-back awards in 2008 and 2009, Tim Lincecum has really fallen off as of late. Each of the past two seasons, Lincecum has posted an ERA over 4.00, and in addition had losing records. While the win-loss record isn’t the most important thing when evaluating a pitcher’s season, an ERA anywhere above 3.50 usually means they had a disappointing year. But with the talent that Lincecum has shown in the past, I’m not giving up on a turnaround just yet. He just really needs to have a good 2014 season — perhaps more than most of the players on this list — for him to become ‘The Freak’ pitcher he once was considered. I truly hope he can, because when Lincecum is on, he’s one of the most fun pitchers to watch in all of baseball. There are a few players who need to have a good 2014 season who just barely missed my above list because their stats were slightly too good. One of those being Josh Hamilton, who was a major disappointment after signing with the Angles, but when you check the stats, he actually had a decent year, hitting 21 home runs and driving in 79 runs. Another example of that being Yoenis Cespedes, who had a down year average wise, hitting just .240, but posted 26 homers and 80 RBI’s. Not too bad of a season for most players. Joining those two on the list of just misses are Giancarlo Stanton, who was injured in 2013 but still managed to hit 24 home runs and amass 62 RBI’s, along with Dan Uggla, whose .179 batting included 22 homers and 55 RBI’s, which really isn’t all that terrible. While all the players listed under the just missed category had down seasons by their standards, they managed to have somewhat decent years as far as the major league average goes. Even so, they could each use a good 2014 season to prove what they’re capable of. Which player needs to have a good 2014 season the most? Leave a comment below.